This chapter is concerned with exposing the material basis for the concepts of the syntagm and paradigm from linguistics, and the message and messages for selection from information theory. The priority, given to abstract concepts over their material basis when cutting paper is conceived as a pedagogic technique to illustrate the distinction of syntagm from paradigm, is reversed. Materialities of linearity, of surface, and of store or reservoir, are revealed to lie behind the abstractions of linguistics and of information theory. The paradigm is regarded as generated from the immediately present material reality of the syntagm as the line of writing. The understanding of the word, as a cohesive group of letters with strong statistical influences, is understood as more explicitly revealing the material basis for communication, and to correspond to the instantiation of the word in paper- and computer-based systems. A rematerialization, rather than a dematerialization, of communication is discerned in current transitions in information technologies and practices. The password could be regarded as a further line derived from the earlier linear sequence. The passwords might not be even fully known to their user as sequence of letters, but recreated by repetition of the appropriate phrase at each use 1. The process both echoes and parodies traditional pedagogic techniques of mnemonics and may have deeper, although converse, roots in acrostic prayers. A contrasting activity to the transformation of one line into another would be disruption of linearity, for instance, selecting the third and then the second character of a known password. The process is more subjectively difficult and its difficulty, and the greater variety selections for entry, has recently begun to be exploited by real-world systems. Dyseidetic dyslexia involves a failure to recognise the pattern of the written word (Audiblox, 2007): full linearity would have to be painfully reconstructed at each iteration, analogous to the subjective difficulty for non-dyslexic subjects of guided selection from linearity. The modern technologies used in such interactions themselves work on the basis of a correspondence between semiotic and material processes, with concepts and the actuality of line and surface often also invoked. Computation rests on a precise analogy between mental and material processes, and would classically be modelled as operations on a line extended across a surface. Signal transmission, the province of information theory, is diagrammatically represented, and is concerned with the transmission of signals across communication channels or lines. 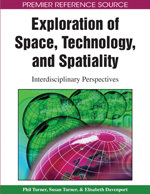 A fuller understanding, of user activities and experience, of the technologies themselves, of the theories that underlie the construction of the technologies, and of those that impinge on their use for writing, can be obtained by examining their material basis and their connection with the line of space and of time, and with the extension of the line of space across a surface. Partly hidden, but powerful, elements of materiality in communication concepts can be revealed, exposing a common material basis for separately developed theories. A rematerialization rather than a dematerialization of communication can also be suggested as a basis for understanding current transitions in information and communication technologies and communicative practices. Concepts central to understanding communication, specifically from the linguistics of Ferdinand de Saussure’s Course in general linguistics (Saussure, 1916/1983) and from the information theory initiated by Claude Shannon’s A mathematical theory of communication (Shannon, 1948/1993), can be materially represented or illustrated. The intention of such material representations has classically been to clarify concepts in the mind of a learner, adding a practical to a theoretical grasp, through engaging with materiality.